The crew at YotaMafia has come up with the ultimate Economical 2.5″ lift for your 2nd gen Tacoma! We have personally ran all these parts and stand by them, every single part of this kit no matter what options you select are all made by very reputable companies that we have a close relationship with. 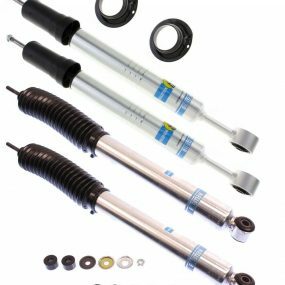 This kit Includes all new Bilstein 5100s paired with OME coils up front for a Quality ride that will hold up to abuse. For the rear we are using Bilstein 5100s and lifting it with Icons Add A leaf kit or ARB Dakar for the full replacement leaf pack. Please take a close look at all the options so you make sure to get the right parts for how you will use your Tacoma. If you have any questions about this kit please don’t hesitate to give us a call or email us. Take the pain out compressing coils with rented coil compressors making for dangerous situations and taking tedious time. This option includes new top hats and all new hardware. If you are having a shop install this lift this option is not needed as more then likely they will have the correct equipment. How you will be using your Tacoma matters alot in choosing if the Add a leaf kit is sufficient or you need to upgrade to the full replacement leaf pack. The Icon add a leaf kit is a great lift to achieve 2.5″ of lift and keep a solid ride quality, however there aren’t much added benefits to the add a leaf kit other then lift. If you plan on adding extra weight to the rear of your Tacoma such as roof top tents, carrying around lots of gear often or aftermarket rear bumpers we highly recommend upgrading to the full replacement ARB leaf pack. This add on Includes new ARB bushings and longer ARB U bolts to make for a seamless install. Designed, engineered, tested, and assembled in Colorado; SPC Performance’s adjustable upper control arms are loaded with the features you need. Improve suspension travel, handling, and tire wear while you center your tire in the wheel well to maximize clearance for your oversized tires. 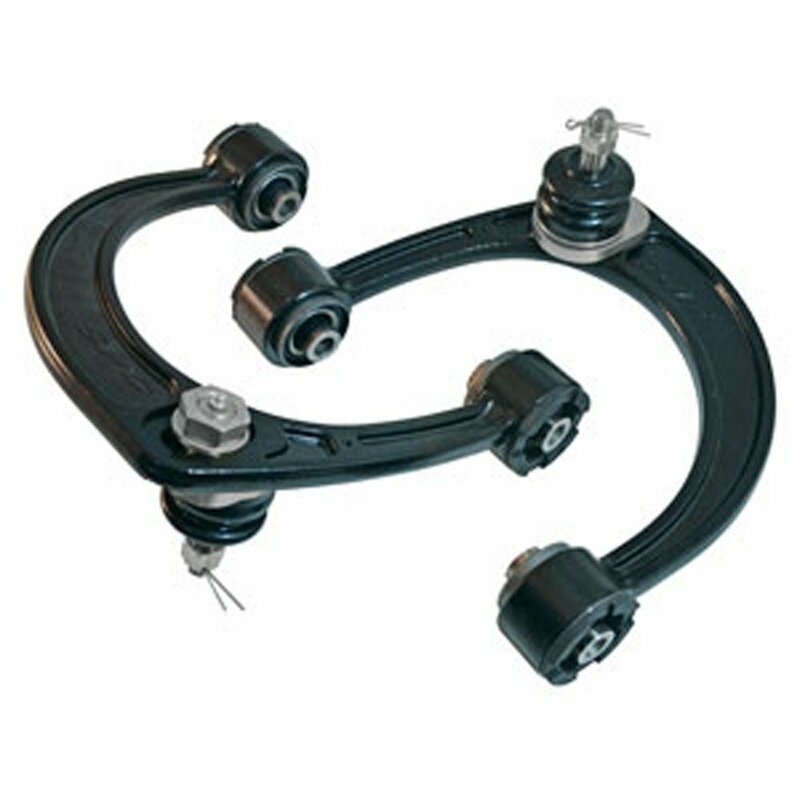 Equipped with greaseable ball joints and xAxis™ sealed flex joints in bonded rubber sleeves, this arm will both correct alignment angles and restore factory ride quality. SPC’s forged steel design provides the strength and durability needed for the most demanding environments. Does this kit come with the u bolts and bushings or do I have to buy separately? If you add on the ARB Dakar’s then it comes with new ARB U bolts and bushings.